Cozoy are quite the romantics, fusing sharp, daring styling with analogue tuning. They’ve always been a bit unorthodox with their designs, preferring tonality over specification and technicality. However, their recent products represents a shift towards the later while retaining the magic of models past. 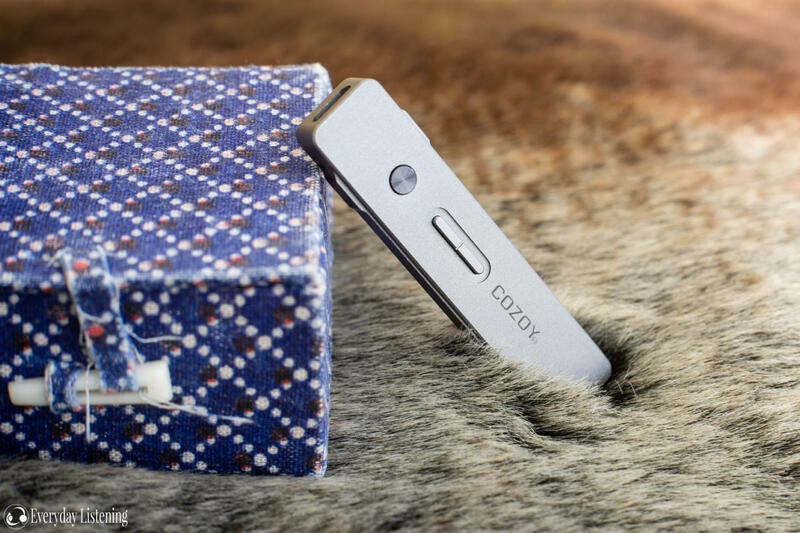 Cozoy’s new Takt Pro succeeds the Takt as Cozoy’s flagship ultra-compact DAC. It also best exemplifies this shift towards specification, implementing the renowned Saber ESS9018Q2C DAC chip combined with some intriguing tuning on Cozoy’s behalf. In addition, the DAC features a hyper compact battery-less design that perfectly suits portable use. As a result, the Takt Pro produces some very unique results within a very unique form factor. However, its $289 USD asking price puts it in direct contest with some very competitive models from venerable manufacturer’s like Oppo and Fiio. So, can Cozoy’s diminutive DAC deliver the technical performance offered by its larger counterparts? Let’s find out! I would like to thank Cozoy very much for their quick communication and for providing me with the Takt Pro at a discounted price for the purpose of review. All words are my own and there is no monetary incentive for a positive review. Despite receiving the DAC free of cost, I will attempt to be as objective as possible in my evaluation. As my Takt Pro is a pre-production unit, it arrived with no packaging. That said, the accessory set is identical to retail units. In-line with the Takt Pro’s multi-platform support, Cozoy provide 3 cables terminated in lightning, micro-b and usb type-A. This enables the DAC to function with a variety of devices from factory though I’m sure a usb type-c cable would be a very appreciated inclusion with retail units. The cables themselves are slim, short (~10cm) and flexible with decent strain relief. As such, they aren’t obtrusive when pocketed and are very well suited for portable use. The black Lightning cable pictured is an upgrade unit available for separate purchase. Cozoy also offer a USB-C variant, but the retail Takt Pro will only ship with a standard white Lightning cable and no USB-C cable. The type-A cable was very underwhelming, as pictured above, the usb cover slid off the plug upon first use. Of course, replacements are common and dirt cheap and Cozoy’s upgrade cables are very nicely built, but considering Cozoy’s asking price, I would expect these higher quality cables to be included from factory. This may be one of the most outstanding feature of Cozoy’s Takt DAC’s; both of which are absolutely miniscule. The Takt Pro is about twice the size of a smartphone dongle but far exceeds them in specification and build quality. With a machined 6063 aluminium enclosure, the Takt Pro feels rigid despite its dimensions. This particular alloy also enables an especially tactile finish and their alluring gunmetal colour scheme differentiates it from the silver Takt and doesn’t scream for attention when stacked with a smart device. In fact, this is where the Pro excels as it is barely noticeable when paired with a smartphone. This is especially pertinent as the majority of modern flagships are omitting the 3.5mm headphone jack. When paired with a tab of reusable 3M double-sided tape, the Takt Pro makes for a very practical alternative to the included dongle; and the Takt Pro is especially comparable to such solutions as it has no internal battery, similarly running off the source device. However, where the original Takt and majority of competing designs like Fiio’s i1 and ADV’s Accessport are wired to a specific connector, the Takt Pro instead utilises a conventional and widely supported micro-usb port. Some may want for usb-c, but the Takt Pro is physically smaller than the port and reversible micro-usb cables can commonly be found online for change. This enables the DAC to be used with every platform, extending to Windows and MAC devices in addition to portable ones. As it is powered by the source device, I was concerned about the Takt Pro’s compatibility with various devices; many of which have limited output power to preserve battery life. However, the Pro was plug and play for all of my test devices; an iPod Touch 6G running IOS 11.2, HTC U11 on Android 8.0, Fiio X7 II on 1.0.4 and my Windows 10 laptop. As soon as the DAC was connected, all began routing audio through the Takt Pro. And, though most of these devices cap their output to 44.1 or 48KHz over USB, a third party app such as Poweramp or USB Audio Player were able to take advantage of the Takt Pro’s ability to decode higher-bitrate files. Of note, 3rd party Lightning accessories tend to be a little unreliable, but though Cozoy’s included Lightning to micro-usb cable is not MFI certified, I experienced no issues during my testing. The micro-b to micro-b cable also functioned perfectly as did an aftermarket usb-c cable I usually use to connect DAC’s to my U11. Cozoy also offer an additional ASIO driver for Windows devices that offers reduced latency and bitrate support above 192KHz. The practicality of the Takt Pro’s design is compounded upon by its snappy hardware controls. The face of the device has 3 buttons that emulate a remote with clearly differentiated volume buttons and a larger multi-function button in the centre. They all have a very pronounced click and holding the volume buttons enables a skip track function which is practical for pocket use; especially since the Takt Pro does not pass through remote commands from the attached headset. The buttons functioned perfectly on all tested platforms but on Windows, the music app itself must support remote commands; Foobar and Spotify functioned as intended. Of note, as the Takt Pro is powered by the source device, it does tend to draw more power than either the stock output or stock dongle. That said, considering that it holds a huge output power and decoding advantage over these outputs, the Takt Pro did not draw significantly more power than my U11’s dongle. Additionally, power draw from my laptop made a negligible impact on battery life. Considering the size of the DAC, I’m not overly concerned that there’s no additional charging port for jack-less smartphones. The Takt Pro does get warmer than most sources due to its small size and heat conductive housing (which aids cooling). I also noticed that it was noticeably warmer when running from my laptop than smartphone suggesting the phone is delivering less power. That said, it was never hot the point of discomfort even during the current Australian summer. The Takt Pro was also surprisingly EMI resistant with no noticeable interference when paired with my laptop or phone regardless of CPU or WiFi activity.